The following report omits to draw a rather obvious conclusion. Under President Trump U.S. forces in Afghanistan have grown to number more than 15,000, many of whom are engaged in what are effectively combat operations. Although for PR purposes the Pentagon has described US forces as “accompanying” the Afghan Army in the field, they are effectively involved in joint combat patrols. Nor are they alone. From the following report we can conclude that Britain’s Special Forces are also now engaged in combat operations. Not against the Taliban, their previous adversaries, but against a newly arrived threat in Afghanistan, ISIS. That’s the same ISIS (otherwise known as Islamic State, ISIL or Daesh) that the West and the gulf emirates covertly assisted as the militant’s strove to oust Syrian President Assad. However like a many headed hydra ISIS has multiple guises and, depending on what is required, a variety of uses too. From a failed attempt at regime change in Syria to providing a pretext to extend the West’s military presence in Afghanistan, the Sunni militants have proven remarkably useful. In effect the West is now using terror for its own ends. Although to be effective, the corporate media has to conceal this fact. You may ask why the West should wish to retain a military presence in Afghanistan after 17 bloody years? The reason is simple and can be summed up in one word: drugs. Prior to the 2001 invasion of Afghanistan the then ruling Taliban had almost put an end to the country’s drugs trade. The U.S.-led invasion quickly changed that and Afghanistan is once again the world’s main producer of opium and heroin. 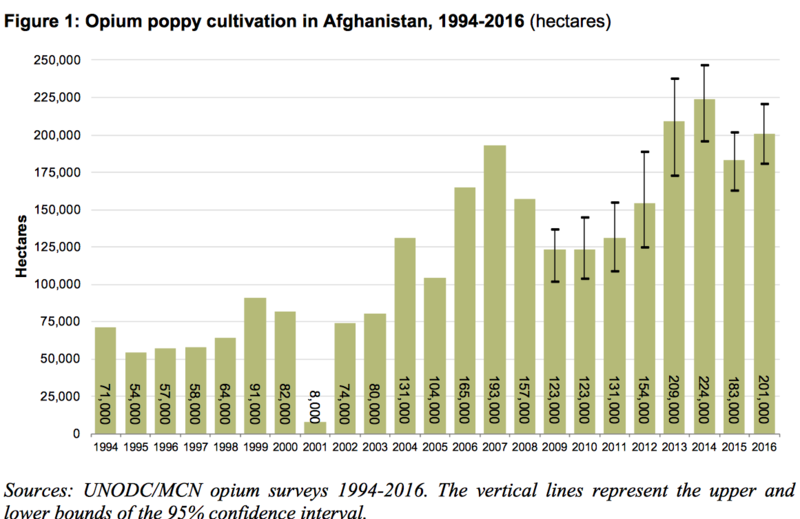 The only year in recent decades that it wasn’t was 2001 when the Taliban outlawed the cultivation of opium producing poppies. It’s also no coincidence that the U.S.-led invasion commenced at the end of the same year. That’s precisely when the Taliban’s outlawing the cultivation of opium producing poppies began to take effect. All of which should lead to obvious conclusion: that Western involvement in Afghanistan is essentially to support a criminal enterprise. There is no other way to describe it. Ed. After running out of ammunition, he used the spade as a weapon when the fighter charged at British soldiers. The sergeant – a veteran of dozens of battles – cut-off the ISIS thug’s head with one blow. And after killing him, the Brit then used the gunman’s own weapon to kill more militants. Sources say the brutal battle took place six weeks ago during a patrol in eastern Afghanistan. It followed a meeting between the SAS and former members of the Taliban fighting on the side of the Afghan government. When the special forces unit was ambushed by ISIS gunmen the Brits were forced to fight off wave after wave of attacks after taking refuge in a farm. Each onslaught was met with machine gun fire but the SAS soon began to run low on bullets. The jihadis, some of whom spoke English, taunted the Brits with warnings they would send their decapitated heads back to their wives. The British radioed their base calling for air support but could not tell whether the message got through. Our source said: “The SAS thought they had seen their last day. “They made a pact that they wouldn’t be taken alive and vowed to fight to the death. “Capture would mean torture and a filmed execution and they weren’t prepared to let that happen. Just as they thought their time was up, two US Apache helicopter gunships appeared, forcing the insurgents to withdraw. A US Chinook then came in and rescued them. By the time they arrived half the SAS team had no ammunition left. Both the Taliban and ISIS have gained ground in Afghanistan but they view each other as enemies. ISIS attacks have been on the rise in recent weeks and are now seen as the main threat to peace in the war-torn country. Hundreds of fighters are believed to have moved in from Syria and Iraq. 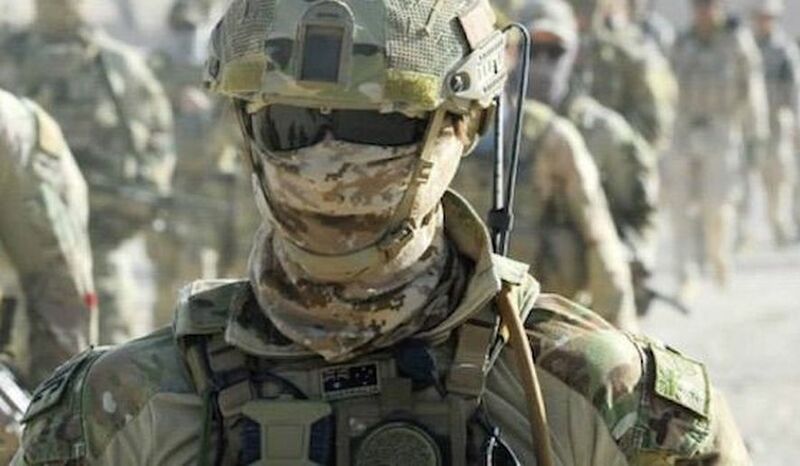 A source said the situation was so bleak in Afghanistan that the number of SAS troops will be doubled in the next few weeks to around 100 men.